The SuperVac P124SE smoke ejector is designed for high powered air movement paired with compact size in a hazardous location environment. Turning at 3500 RPM, the 12 inch fan is small, but mighty. 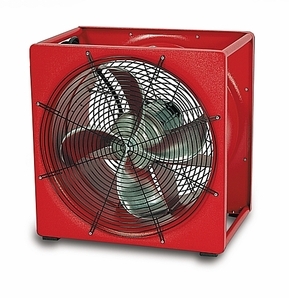 Perfect for fire / emergency departments for small unit confined space ventilation.